North Carolina’s public schools are becoming increasingly diverse with students of color now making up more than 50 percent of total enrollment. The state’s teaching workforce, however, does not reflect that diversity, with about 80 percent of teachers both white and female. Does it matter, and if so what do we need to do about it? 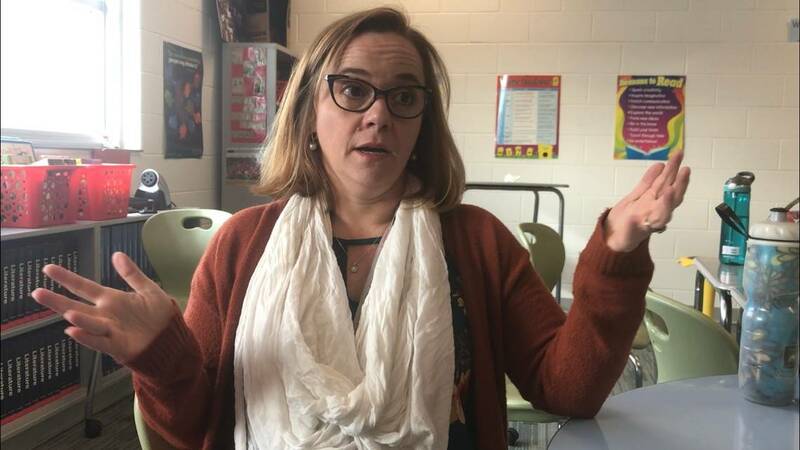 Jasmine Lauer, an English teacher at Pine Hollow Middle School in northwest Raleigh, gestures during an interview in her classroom about state spending on teacher pay, school supplies and more. Photo Credit: Will Doran, The News & Observer. For the 18 years Jasmine Lauer taught English at Raleigh’s Sanderson High School, her classroom was stocked with the same textbooks she herself studied from when she was a high school student. Now she teaches at Pine Hollow Middle School in northwest Raleigh and has newer textbooks — because the school just opened three years ago. But even with the newer books, she said, teachers there still don’t always have the materials they need so they supply their classrooms out of their own pockets. Doran, W. “Raises? Supplies? More jobs? 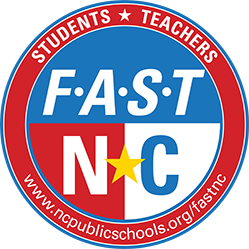 What teachers and state workers want in NC budget talks.” The News & Observer. 1/28/19. The number of charter schools in North Carolina has nearly doubled since a state cap was lifted in 2011, prompting a debate about whether it’s time to put a new limit on these non-traditional public schools. Public Schools First NC says the state should reset charter school growth instead of adding new schools or expanding existing ones. The group is asking people to sign an online petition that calls on state legislators to put a new cap on while a comprehensive review is done of charter student performance, fiscal management and the impact of charter-related policies on students, public schooling, and taxpayers. Hui, K. “NC charter schools have nearly doubled since 2011. Some say it’s time for a new cap.” The News & Observer. 1/31/19. 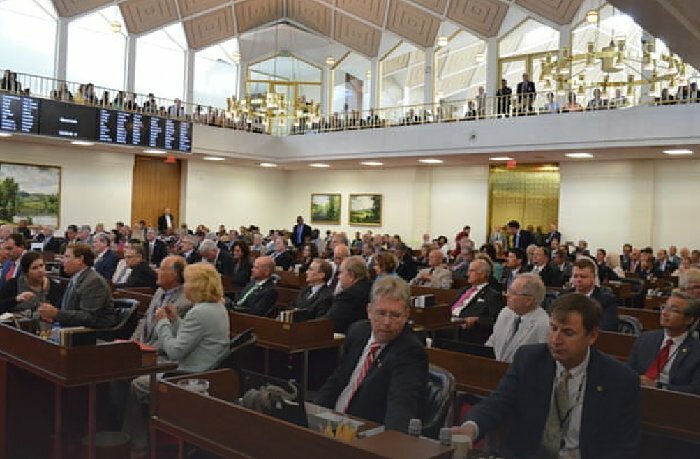 For the first time since EducationNC began covering the General Assembly in 2015, the Republicans no longer have a supermajority in the House or Senate. That could have big implications for how things unfurl this session. First, a primer on what that means. North Carolina has a Democratic governor, Roy Cooper, and a Republican-controlled House and Senate. Prior to this session, the Republicans had a supermajority, which meant that any legislation the governor decided to veto could easily be saved by an overriding vote of the supermajority. Essentially, that left the governor and legislative Democrats without any bargaining power or the ability to effectively intervene if they didn’t like something the Republicans proposed. Granados, A.. “Legislative preview: General Assembly Long Session.” EducationNC. 1/29/19. School buildings across North Carolina often are in bad shape, but the state hasn’t had a statewide school bond since 1996. County commissioners in rural areas say they can’t raise property taxes more than they have. Photo Credit: David T. Foster III, The Charlotte Observer. Republicans in the legislature want to help school districts repair or replace dilapidated schools, but they have come up with two competing strategies for how to do it. Senate Republicans are putting up a pay-as-you-go plan for school construction as an alternative to the $1.9 billion bond House Speaker Tim Moore has proposed. The Senate GOP method would use a money from the State Capital Infrastructure Fund, a new pot of cash the state will start filling this year. The fund was established in the 2017 budget and will receive 4 percent of state tax revenue and other money. The legislature set up the fund to pay debts, for UNC system school and state agency buildings, and for repairs and renovations. 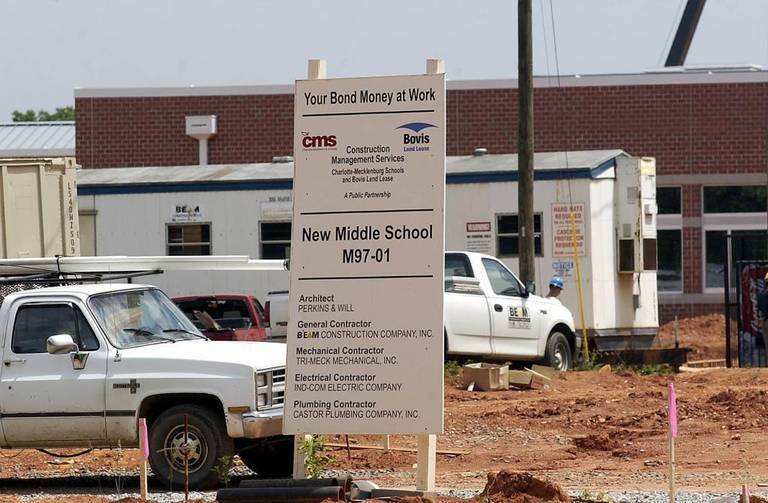 Bonner, L. “NC Senate Republicans say this plan will raise $2 billion for school construction.” The News & Observer. 1/30/19. Muhammed Clemons, an elementary education major at Winston-Salem State University, says although he didn’t have any black male teachers growing up, he does have fond memories of his first male teacher, Mr. Willard in the third grade. Photo Credit: Mark Stebnicki, WRAL. This article is part of a WRAL News investigative series: Inside NC’s teacher diversity gap. Muhammed Clemons wanted to be a high school history teacher. That was the plan, anyway, until he walked into his aunt’s elementary school classroom and saw the way her students looked at him. Hinchcliffe, K. “What’s the future of teacher diversity in NC? Colleges of education may hold the answer.” WRAL. 1/28/19. There has been much written about the impact charter school growth has had on some of North Carolina’s larger, urban school districts. But the impact might be greater on some of the state’s smaller, rural school districts where the loss of students, and the funding that follows them, are felt more profoundly. Childress, G. “In some North Carolina counties, traditional schools are being squeezed by charters.” NC Policy Watch. 1/30/19. Rep. Cynthia Ball, D-Wake. Photo Credit: WRAL. A Wake County Democratic lawmaker is asking Republicans to join her in supporting legislation that she believes would help North Carolina recruit more teachers of color. 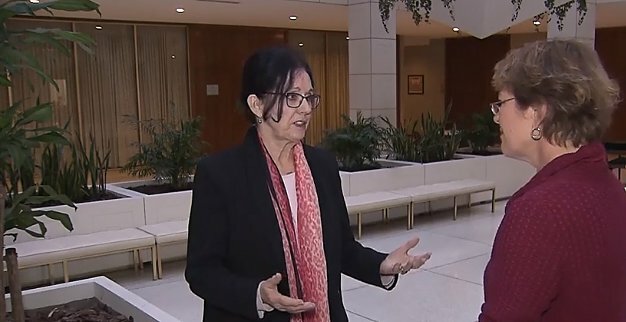 Rep. Cynthia Ball, D-Wake, announced on Twitter that she will be “working to increase the number and diversity” of North Carolina’s Teaching Fellows. 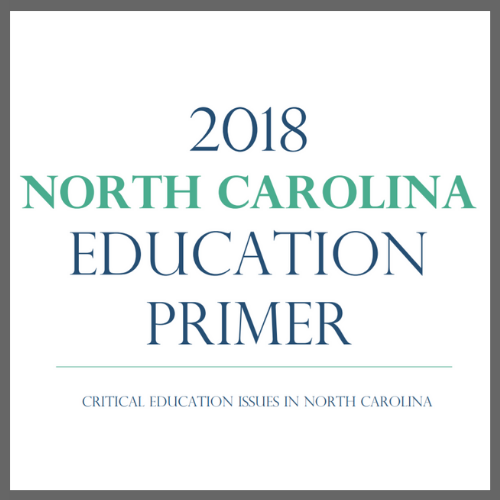 The state-funded program recruits students to study teaching by providing college tuition help in exchange for a promise to teach in North Carolina for at least four years. Of the 74 students participating in the current Teaching Fellows program, 83 percent are white. Hinchcliffe, K. “Wake lawmaker calls for increased diversity in NC’s Teaching Fellows program.” WRAL. 1/28/19. 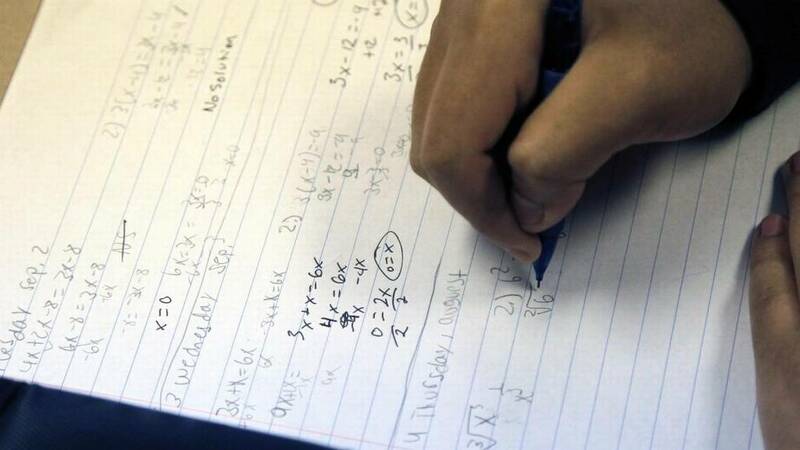 A student works a problem during a math class at Athens Drive High School in Raleigh on Sept. 4, 2014. Photo Credit: Chris Seward, The News & Observer. School districts across North Carolina are delaying release of new student report cards and are revising earlier report cards because of a statewide software glitch that potentially miscalculated thousands of grades. A software error in the PowerSchool PowerTeacher Pro application used by many North Carolina teachers to enter their grades caused some student grades from the first quarter of the school year to be incorrectly rounded up or down. Schools have been reviewing their grades, with several announcing that they’re delaying the release of second quarter/first semester report cards that would typically be sent to families in late January or early February. Hui, K. “Grading glitch is causing report card delays at schools across NC.” The News & Observer. 1/25/19. CMS officials present their 2019 legislative agenda to elected officials. Photo Credit: Gwendolyn Glenn, WFAE. 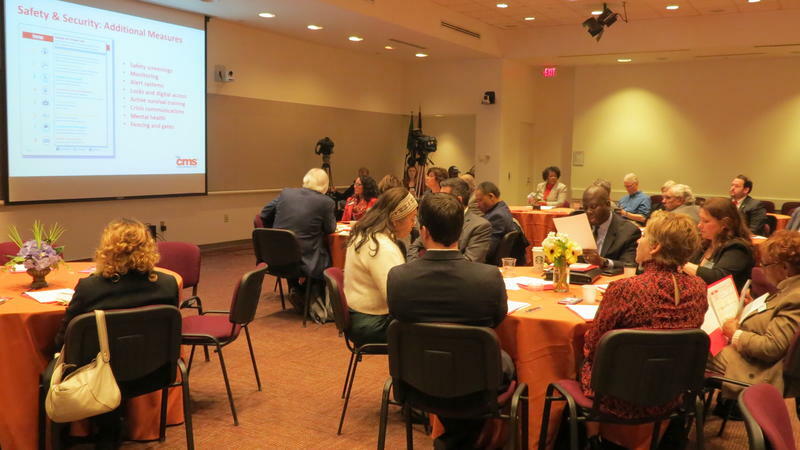 State grading of schools and funding to build classrooms to accommodate the state-mandated reduced class size for K through third grades were big topics at a breakfast meeting between CMS and elected officials. Friday’s breakfast meeting was not as testy as last year’s when charter schools were a major item, but the convictions on the legislative agenda items were just as strong. 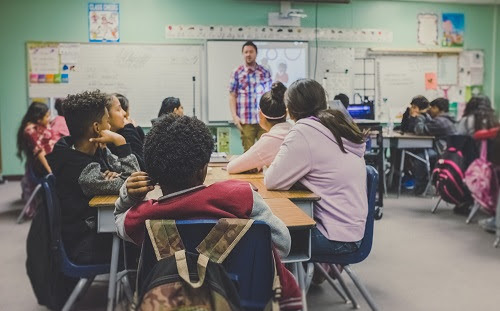 Last year, CMS and other school districts were successful in getting lawmakers to approve more money to hire the thousands of teachers needed to have smaller classes. Glenn, G. “CMS Officials Want To Change How Schools Are Graded.” WFAE. 1/25/19. Amanda Marvelle moves from table to table, making sure students are following experiment directions in the Biogen Community Lab. Photo Credit: Yasmin Bendaas, EducationNC. Most weekday mornings, you will see a yellow school bus parked in front of Biogen’s main entrance in Research Triangle Park (RTP). Middle and high school students file through the front doors alongside Biogen employees beginning their workday. The students make their way to Biogen’s Community Lab. Once inside they are transformed into scientists; they don white lab coats and safety glasses to work on real-world problems that Biogen scientists and engineers are working on daily. Marvelle, A. 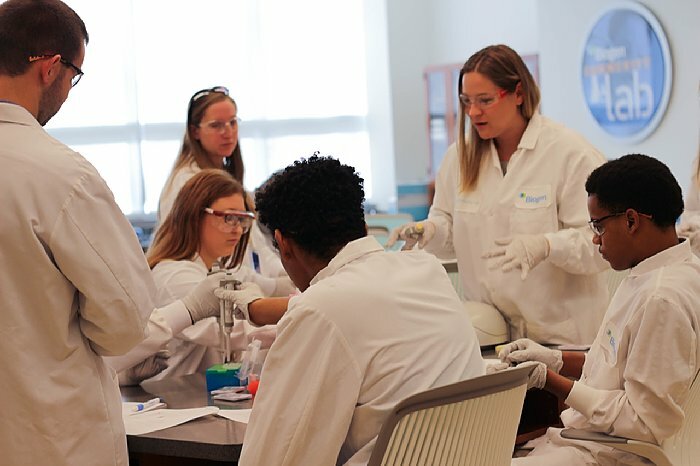 “The Biogen Community Lab: Bringing students to real-world STEM.” EducationNC. 1/24/19. 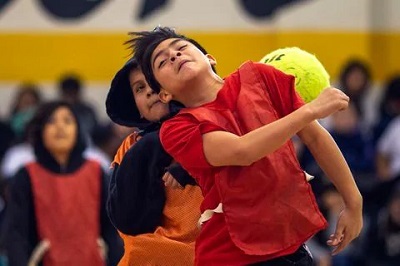 Students played soccer at Vista Middle School in California in January during the first Los Angeles teachers’ strike in 30 years. Photo Credit: David McNew, The Washington Post. In a search for jobs which once paid well, but have fallen below average in most states, we considered hundreds of industries. Public schools stood out. In the early 1990s, when today’s veteran educators were starting out, public-school teachers and support staff pulled in above-average paychecks in 26 of the 42 states for which the Labor Department had comparable data. Van Dam, A. 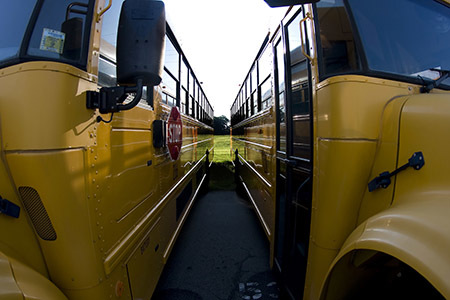 “Public-school salaries fall short of average in nearly every state.” The Washington Post. 1/29/19. Ohio Gov. 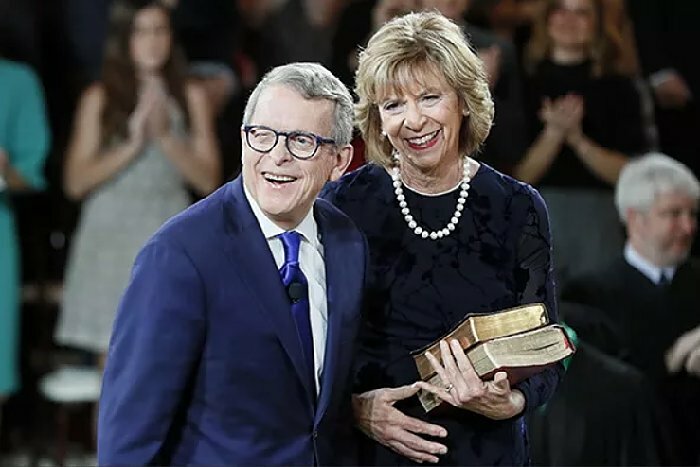 Mike DeWine reacts after taking the oath of office alongside his wife Fran at the Ohio Statehouse. 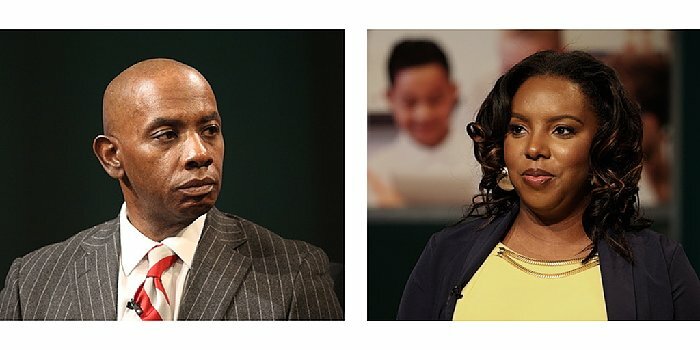 A controversy over the state’s largest full-time online charter school last year put a sharp focus on charter school oversight and accountability, an issue that may resonate with lawmakers elsewhere in this year’s legislative sessions. Photo Credit: John Minchillo, Pool/AP. 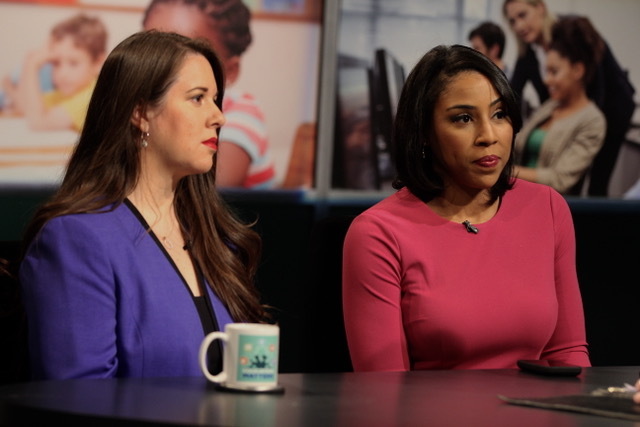 While funding, teacher pay and shortages, and school safety are prime K-12 issues in the state legislative sessions that get underway this month, charter schools are also likely to be hot topics on lawmakers’ agendas. Among the potential flash points: how to make sure funding for charter schools is equitable and how to hold online charter schools accountable. 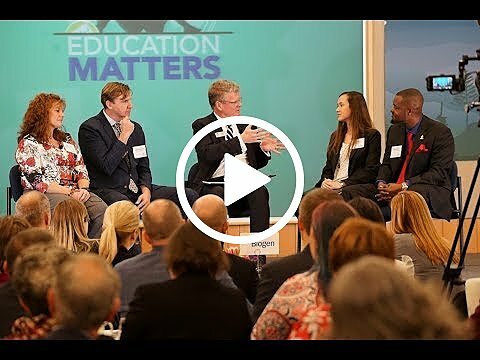 Hinton, M. “Charter Debates Could Be Coming to State Legislatures” Education Week. 1/23/19. 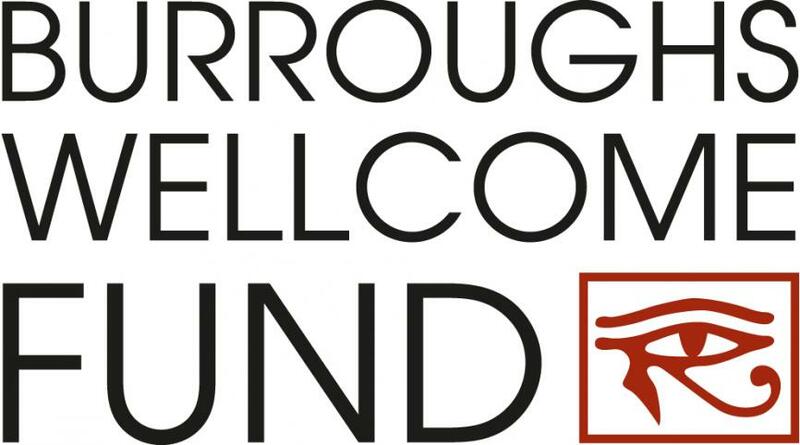 The Burroughs Wellcome Fund has opened it’s application for the 2019 Student STEM Enrichment Program (SSEP) grant awards. SSEP supports diverse programs with a common goal: to enable primary and secondary students to participate in creative, hands-on STEM activities for K-12 students and pursue inquiry-based exploration in BWF’s home state of North Carolina. These awards provide up to $60,000 per year for three years. The application deadline is April 16, 2019. Improve your practice with The Friday Institute’s free high-quality online courses for educators. Courses are self-directed, peer-supported and project-based. 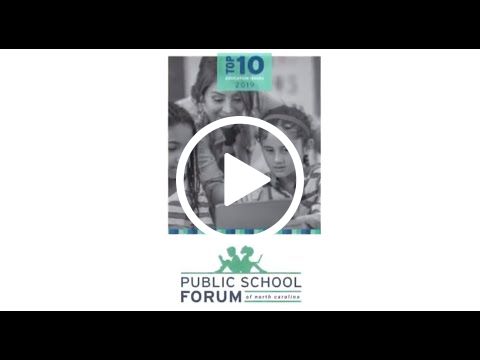 Topics include Teaching Statistics Through Inferential Reasoning, Coaching Digital Learning, Teaching Foundational Reading Skills, Teaching Mathematics with Technology and more. Courses start February 5. Sign up today and learn more at go.ncsu.edu/mooced. Early Registration and the Request for Proposals (RFPs) for workshop presenters and vendors are now open. We are excited to announce that Mentoring has been added as a new workshop strand. 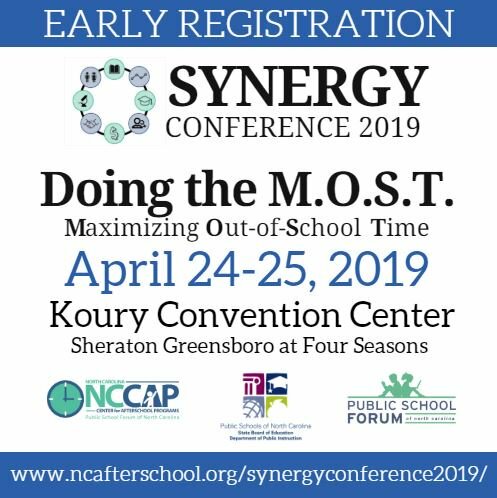 Workshop strands include Arts & Literacy, Closing Gaps, College & Career Readiness, Mentoring, Organizational Capacity, Public/Private Partnerships, S.T.E.M., and Youth Development.